So much of our lives take place online. How many online personal accounts do you have with your credit card information, personal home address, and other personal information? And how inconvenient would it be for someone to gain access to one of more of these accounts simply because you weren’t using a strong enough password or protecting your web browsing? Google Chrome is not only a great, intuitive, smart web browser that retains your personal information stopping you from having to memorize usernames and passwords, but it is fully equipped to help you develop and remember secure passwords. It stops you from using the same password at every website and keeps your personal information safe. Just download the browser to your password protected personal computer and let it walk you through all of its security features. This program is designed to be intuitive and to cater to internet users of all ages and capabilities. Protect your physical self as well as your digital self! Aging is a beautiful process, learning and growing and changing is what makes humanity most impressive. However, as we learn, grow, and age, our bodies change as much as our minds and as such, our personal threats change. 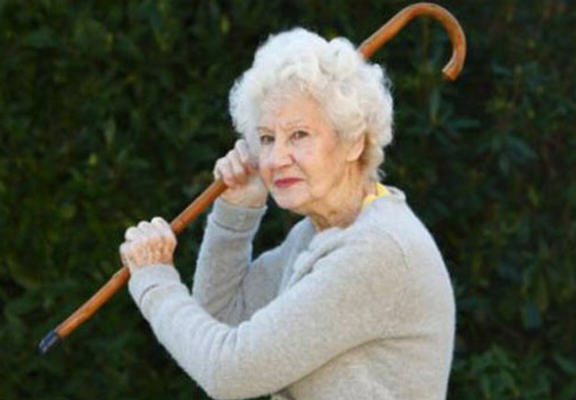 A variety of companies offer personal safety devices designed for seniors, I’m focused more on medical alert and alarm system devices rather than personal defense systems. As an elderly woman living alone, my biggest threat is a medical emergency with no way to alert my loved ones. There is no shame in self-protection at any age! That’s why I wear a Phillips Lifeline – it not only gives me the peace of mind of knowing I’ll be taken care of should I have an emergency, but it gives my children and friends the peace of mind of knowing they’ll be alerted if I need them. It’s a water-resistant wrist band that connects to my landline and includes fall-detection technology. So if anything happens while I’m at home, I can simply press a button to alert my family. And if I fall and am rendered unable, it will send an alert to my loved ones for me. If I’m out and about, it includes GPS and location technology, fall detection, and cellular connections. It’s like having an emergency contact device on me at all times. I also synced my wristband to a medication dispenser so that I never forget my supplements. Because I have the 24/7 support, fall detection, and personal care plan of this tested and trusted device, I don’t have to spend my time worrying about what Id’ do in an emergency. I can go out and live my life just like I always have without being held back by age or ability! If you’re anything like me, you like the peace of mind of knowing that you can defend yourself if you absolutely need to but you don’t advocate violence or weapons. There are still some accessories you can keep on your person for that extra peace of mind. Mace or pepper spray is a good way to keep attackers at a distance. It is quick, easy to use, causes severe irritation and may slow down an attacker from a distance. They even make cute little keychain mace so it’s not inconvenient to carry with you. The downsides of mace are numerous though: many establishments won’t let you carry mace in with you, so if you’re going to a bar or concert, you may have to leave it at home or in the car completely rendering it useless, if you get some of the mace spray in your own face you’ll be wildly uncomfortable for quite some time, and in some cases it may enrage a potential attacker while slowing you down creating an even more dangerous situation. A tactical knife or taser are good options if your attacker is already within 20 feet of you. The purpose of a knife is, obviously, to get stabby upon your attacker – stab to defend not to kill. And a taser is non-lethal immobilization tool to keep your attacker defenseless. In both cases however, you’ll be much closer to your attacker than you’d like and neither would be allowed into most places. There are many app options for emergency alerts that contact emergency services, sound an alarm and flash lights to draw attention to your emergency, and require a PIN password to deactivate. This requires the intervention of passers-by to rescue you so it’s best paired with personal self-defense plans. Finally, practice is imperative. Adrenaline and emotion can take over when in a dangerous situation so it’s best to have practiced whatever tools and/or approaches you plan to use in the event of a personal emergency. To carry a knife you don’t know how to use puts you in more danger than if you had no weapon. To use a pepper spray for the first time when in an emergency renders you unprepared and vulnerable. It’s just appalling that a woman has to do this much prep work to simply feel safe on the streets of America, but until we see reform and a shift in acceptable behavior, any smart woman is ready and prepared to defend herself whether in a dark alley, a stranger’s back seat, or at her own front door getting out her keys! The first and best way to feel safe and secure is to have the skills and moves to defend yourself. There are many different self-defense approaches to staying safe. In the unfortunate event that you find yourself in personal danger, especially if you’re a woman, knowing a few simple moves could be the difference between a close call and a traumatic event. In a world where women are often blamed for the danger that befalls them – why were you walking there? why were you dressed like that? why were you alone? why weren’t you alone? – the only option is to always be prepared! Krav Maga is a great place to start for learning the basics of self-defense. Krav Maga is a military-based self-defense and fighting system that focuses on real-world situations and practical responses. While the practice includes defensive and offensive maneuvers, I suggest focusing on the defensive maneuvers unless you’re training to become an attacker – in which case, move along! Krav Maga includes physical training allowing simultaneous attack and defense so you can defend yourself while also disarming your attacker. It also teaches the power of physical aggression allowing physical response to take the front seat when emotional aggression may be involved. It teaches awareness so that you may take the pre-emptive strike when in a dangerous situation by targeting the eyes, neck, throat, face, groin, fingers, and soft organs. While situational awareness is important and a solo woman’s best friend, knowing what to do when the mental alarm bells sound is just as important! Krav Maga will teach you to strike your attacker, take him down, and keep him down. So you still probably shouldn’t walk yourself home alone at night if you’re a woman in America because men are trash and let one another get away with being trash, but if you have some skills, you’ll feel more confident and safe when you have to. OnStar is an in-vehicle emergency preparation system. Push one button and get connected to an Emergency-Certified Advisor, ready to assist you with whatever you may need. Emergencies are hard to anticipate, especially when you’re on the road, why not give yourself the peace of mind to know that you’ll be ready for the unexpected! OnStar includes Automatic Crash Response, using built-in sensors to automatically connect to an Advisor. If you have no need, you can simply cancel the call. But if you do have the need, you’ll be happy to be connected automatically. It also offers Roadside Assistance so if you blow a tire, run out of gas, or find yourself pulled over for some unpredictable reason, Roadside Assistance will be there to help you decide what to do next. In the unfortunate event that your car is attractive to a thief, Stolen Vehicle Assistance makes theft more difficult and recovery simpler. And Turn-by-Turn Navigation allows you the freedom to go where you want whenever you want! OnStar’s variety of plans will be sure to offer you the kind of safety and security that you and your family need for as many vehicles as you want to protect. The peace of mind this product affords to me while my 17-year old daughter spreads her wings on the open road is worth the minimal price tag! The Nest Security System is great for large homeowners looking for an inexpensive, reliable way to protect the entire home. And it connects to the Nest Smoke Detector and Thermostat. 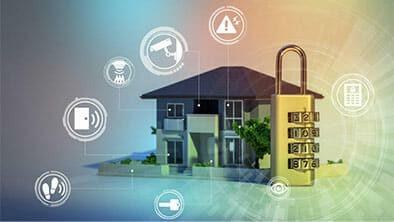 Through one app on your smart phone, you’ll be able to control and monitor your entire home. The security system includes the Nest Guard which acts as the alarm, keypad, motion sensor, and system hub, the Nest Detect to protect doors, windows and individual rooms, the Nest Tag to arm and disarm the system without needing a code, and the Nest App so you can check the system status from anywhere. You get to choose your coming and going timing and if you forget to arm the system on your way out, you’ll get a reminder on your phone. Use the Nest Tag to let the system know when you’re coming or going, give one to a friend or houseguest, or download the app to their phone so they can come and go with your confidence. I even schedule mine to let in the grocery delivery and dog walker. The Nest Detect is a very adaptable piece of the system which can sense motion and movement so stick it on a door or window to make sure it stays put. And simply disarm it in the app if you need to open or close your doors or windows yourself! It can also act as a motion-sensing guide light, casting a dull light when it senses motion in the dark. It’s a great feature in a dark hallway or bathroom for night visits. The system adapts to your home size so while the starter pack comes with 2 Nest Detects, you can buy as many as you need to feel save in and out of your own home. And if you’re trying to keep your toddler out of the music room, like I am, I stuck a Nest Detect on the entrance so that my phone tells me if he toddles into the room. While I’d love for him to learn to play the piano eventually, 3 years old seems a little young to start! Your home is your sanctuary, it’s your safe space and lots of peace of mind comes along with feeling confident in its security. There are great home security options most suitable for rental apartments as they’re small, inconspicuous, and easy to install and remove. SimpliSafe offers simple and smart home security using the wifi or cellular network you already have installed. It offers 24/7 home monitoring and police dispatch and on-the-go mobile control. It could literally be telling you about an emergency WHILE also alerting the police. It offers secret alerts in case you have roommates and can alert you by text or email of any funny business. The keypad is even protected in case some clever burglar smashes it first. I’m certainly not a handyman and it only took me about a half hour to install, and it began working immediately. I even took it with me when I moved and had no trouble with the transition. Monitoring is a bit of an expense with a $15/month fee but I got a little discount on my homeowners insurance when I installed it, so it balanced out. And finally, I didn’t have to have barter and negotiate with annoying salespeople, I didn’t have to sit idly in my apartment while a stranger installed the system, and their customer service is consistently great. I ran into a minor roadblock while installing the unit in my new apartment, and had someone on the phone walking me through fixing it within fifteen minutes. However, there is a rumor that SimpliSafe will not be updating their operating system to support Apple iOS so if you’re a faithful Apple user, it may not be the best option for your home security needs.